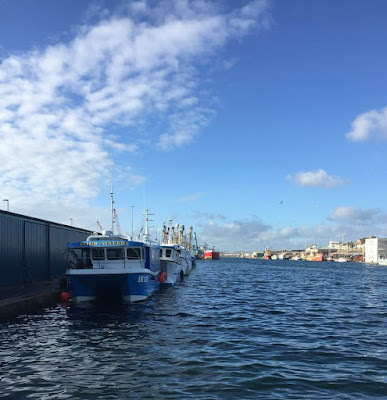 The weather has been mixed during January but we have certainly had a lot of rain. I have had a few attempts at digging areas that have not yet been cleared but the ground is really too wet and it is difficult to shake any soil off the roots of the couch grass and bindweed which is plentiful. With Luke's help, however, we have managed to dig up some buried carpet and plastic bags and remove a few brambles, but they are so deep rooted I am sure they will return. With the threat of yet more rain we renewed the roof felt on the shed but now need to find some battens to ensure it stays on. We applied the roof felt with roof felt adhesive and nailed down the edges but with strong winds around 15 January it began to lift on one corner and with the threat of gales for 17 and 18 January we had to take some emergency measures and have screwed and nailed on some odd pieces of wood as temporary battens (with the intention of doing the job properly once we get a reasonably dry and calm day). We have measured up and now need to find some suitable wood and cut battens to fit. 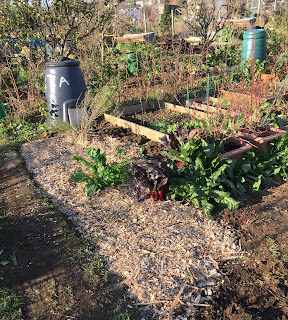 We did manage a bit of weeding in the raised bed where the broad beans have shown through and around some of the onions. 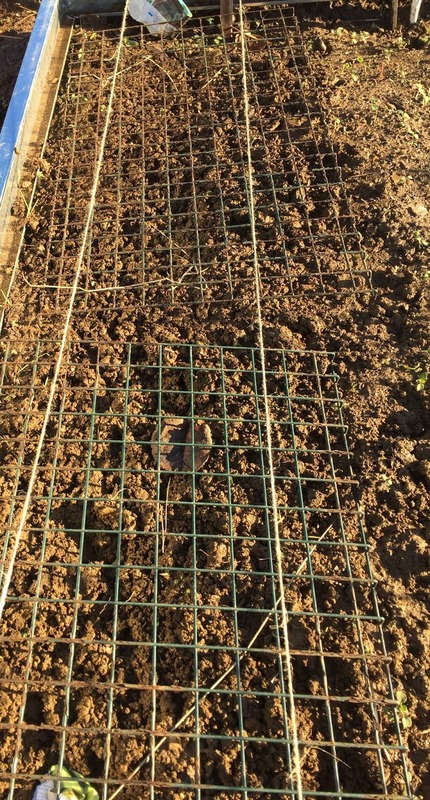 I have also sown another double row of Aquadulce broad beans. The soil seems quite fertile so we didn't apply any manure in the autumn/early winter but we have a plentiful supply of home produced compost from our wormeries, some of which we will apply this month or next. 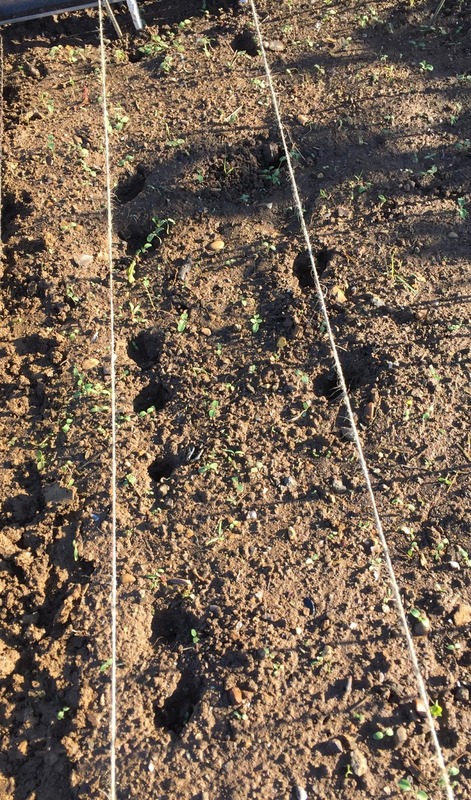 We haven't limed any of the areas where we propose to plant the broccoli and kale (and any other brassicas) so we will see how things go this year and do a soil test in the autumn. 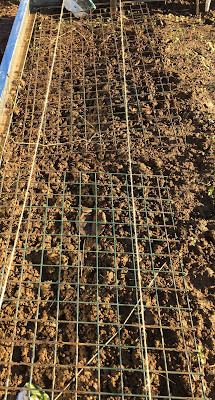 As we have only had half the plot for one complete season and the other half since late autumn, and are still in the process of clearing the site, we haven't yet organised the plots into zones for crop rotation but we will apply the rules to the raised beds as far as possible and get our zoning and rotation in order for the rest of the plot for 2019. We will follow the basic principles of crop rotation. 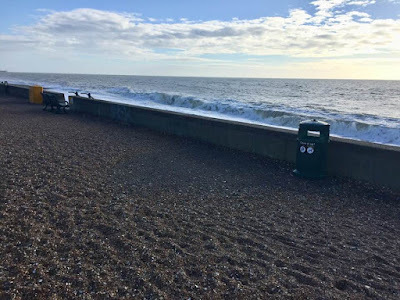 They had suffered a little from pest attack but most of it was near the surface and surprisingly, despite the fact that they should have been lifted months earlier, were remarkably good inside and provided an excellent mash. 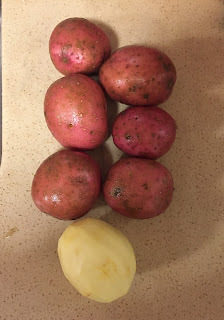 I don't know the variety (possibly Desiree) but we have decided not to grow any late varieties of potatoes, only earlies. Late varieties are important if you are aiming for self-sufficiency, but our major aims are difference, flavour and value. Maincrop potatoes are (forgive the pun cheap as chips in the market and I don't find a great deal of difference in taste with homegrown, and they take up a lot of space for a long period. 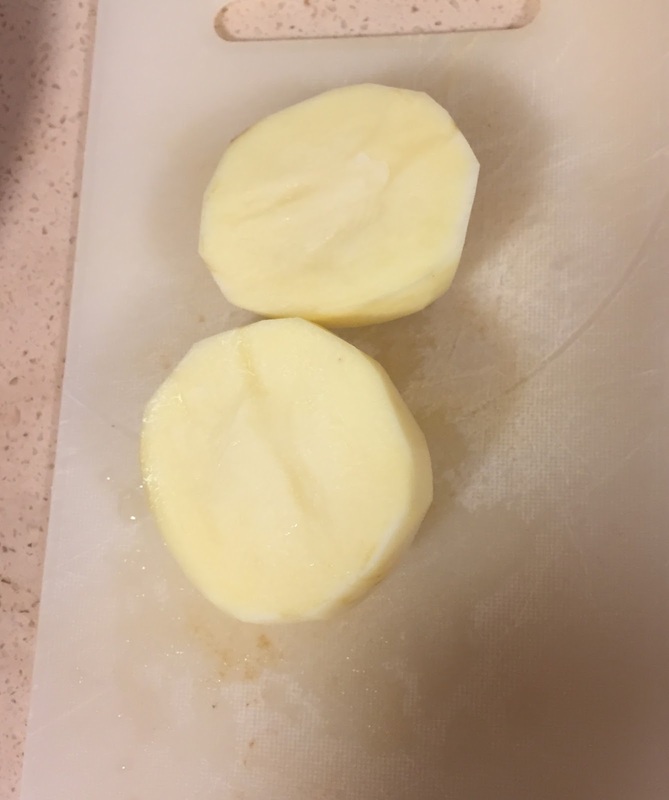 On the other hand, the taste of freshly lifted new potatoes is a "wow" experience at a time when first arrivals in the supermarkets are expensive (or imported from Cyprus or Egypt) and not nearly so tasty. Having decided to grow only earlies - we may have a bit of a rethink. 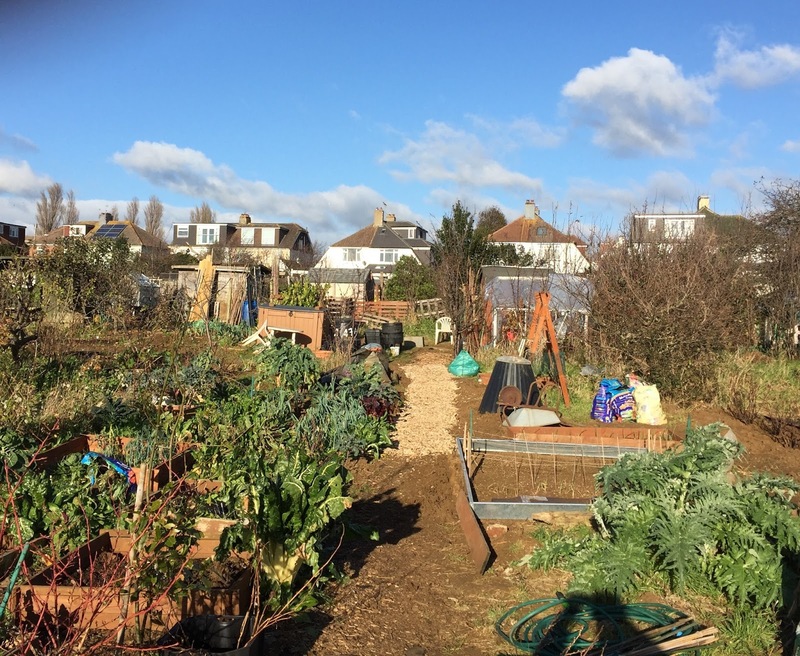 We don't know what will do well on our new plot but we had success last year with Charlotte and Nicola on the old plots at Neville and Mile Oak. We have bought three early varieties of certified seed potatoes, Rocket, Vivaldi and Charlotte. According to the Sutton’s catalogue Rocket is a very early, heavy cropping, white waxy variety. 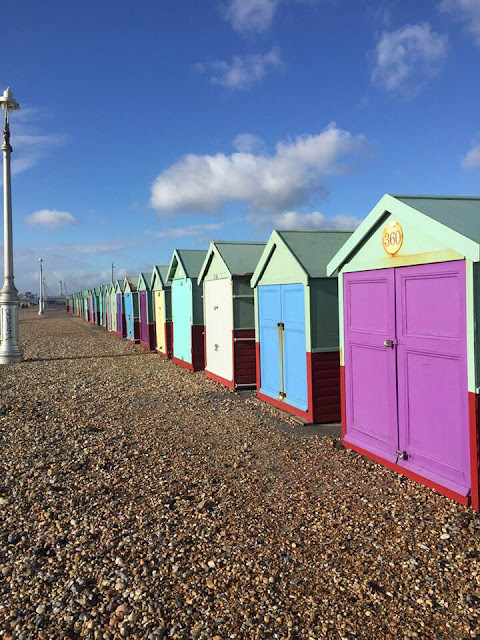 Whilst planting in early to mid-March is recommended for cropping in early June, I have read somewhere that they can be planted in the south around late February and could possibly crop by the end of May but that pre-supposes no late frosts (last frosts in Hove are generally predicted for the last week of March). What you don't want is the young leaves appearing above ground before the last frost. Rocket appear to be susceptible to blight but, as this usually occurs later in the growing season (late July -August), hopefully we won’t be affected if we’ve lifted them all before then, Garden Focused are a bit negative about their taste – we shall just have to wait and see. Sutton’s recommend planting Vivaldi and Charlotte in March. Vivaldi should be ready for lifting in June/July and Charlotte a little later from June through August. The advertising blurb claims that Vivaldi, a second early, is lower in carbohydrates and calories than similar varieties but Garden Focused are a bit sceptical about these claims! Charlotte now appears to be the post popular salad potato in the UK. Variously described as a late first early and as a second early, they can be planted in March and harvested June-August and are resistant to blight and scab. I started to chit the Rocket potatoes in our unheated conservatory at home in the last week of January. 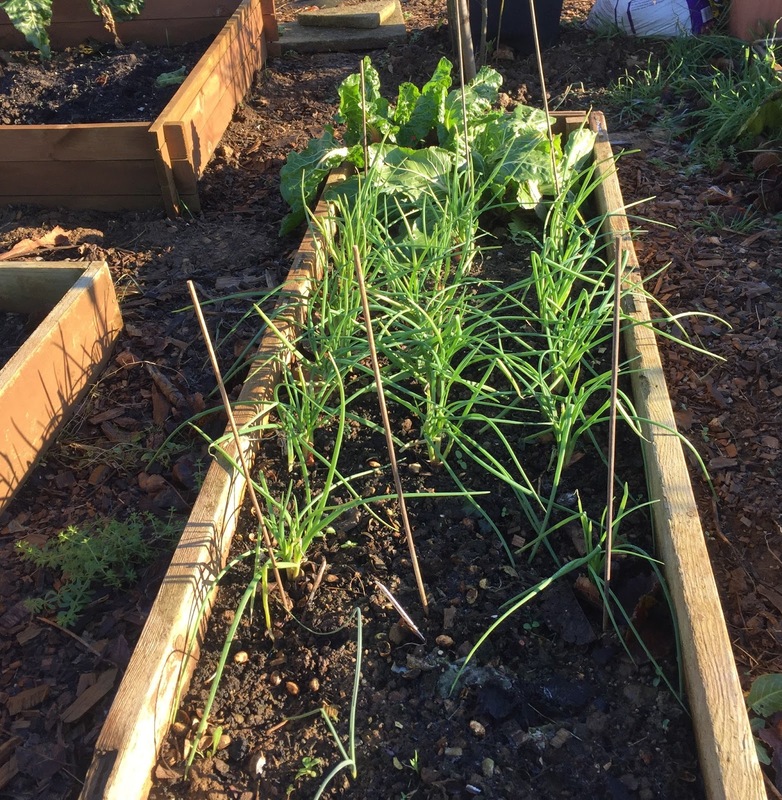 Now is the time to ensure that the raised beds are clear of weeds and a good time to add more nutrients to the soil. We now have 4 wormeries on the go and have begun to spread the contents of the lower tiers on the surface of the beds. Any unrotted material will continue to be broken down by worms, woodlice, beetles and other insects and a myriad of other organisms in the soil. January has been one of the wettest on record and it has not been possible to do any digging on the cultivated areas - we need a good dry spell before even walking on the ground. Fortunately we still have some vegetables to harvest. We have already lifted the best leeks but we still have a few more which were planted out a little too late (and there are some baby ones still in the seed bed which we didn't transplant. A few cabbages remain which hopefully we can harvest before the slugs get them! The weather has been so miserable that we have decided to seek some warmth and sunshine in Spain for a few days and hope that by the time we return in the second week of February the ground will have dried out a bit. 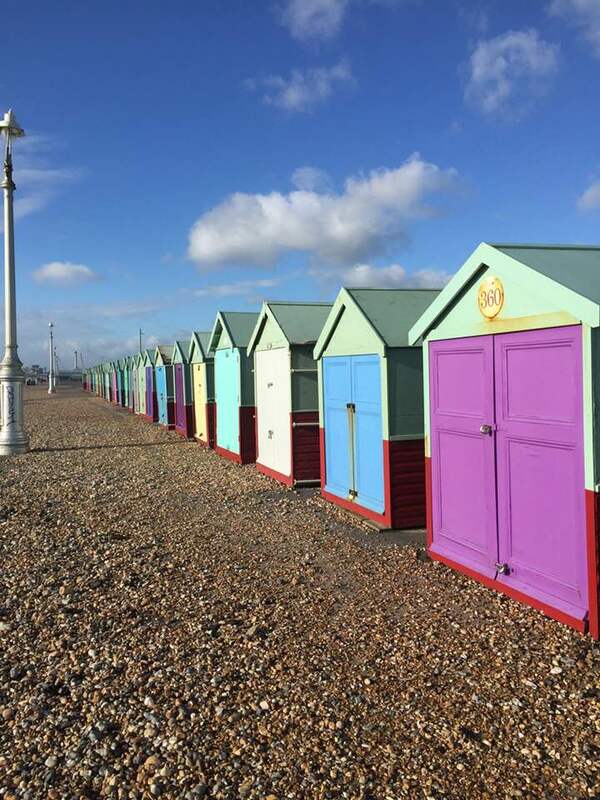 After a night of gale force winds, there was sunshine and clear blue skies so I took a stroll along the promenade to Hove Lagoon to buy some fish. 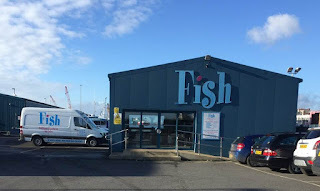 .....where the fish is landed and sold to the public at the Brighton and Newhaven Fish shop. Most of the catch goes to retailers, fish markets and local restaurants - I was told that some is exported to France! 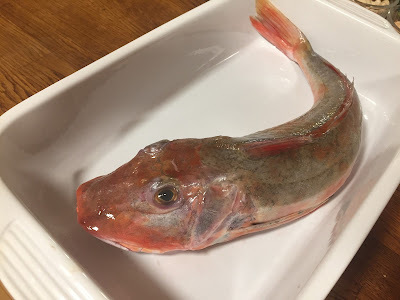 But finally I settled on the local gurnard - which was also the cheapest! Gurnard is not a pretty creature - unless perhaps to another gurnard - but it is delicious and, as any French chef will tell you, an essential ingredient of bouillabaisse. 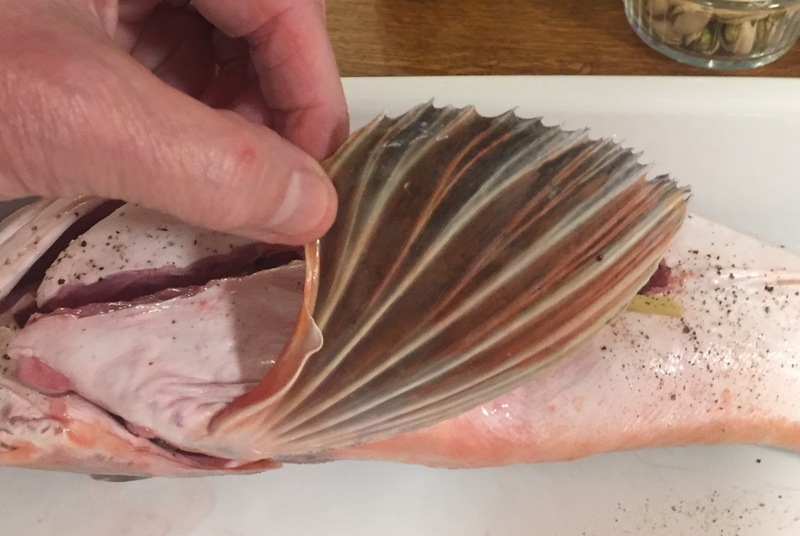 It's not usually a dignified or tidy experience eating a whole roasted gurnard - the two top fillets come away quite easily when cooked but to get the rest, especially some of the best bits towards the head, fingers are best! And when you think it has all been eaten there are always more pickings on the tail and underneath. The fish also has 6 "legs" - actually modified fins - with which it walks on the sea bed and very sharp dorsal spines - beware! These spines are mildly poisonous before cooking but are not usually dangerous, although some people may have an allergic reaction if pricked by them - and they can be sharp. Any poison or allergen in the spines is completely destroyed by cooking. Season the inside of the body cavity with freshly ground pepper and salt (do not use salt in the body cavity if using preserved lemons as they will be salty enough). Stuff the cavity with the fresh herbs (I used thyme but you could substitute rosemary, oregano, marjoram or tarragon), chopped lemons, garlic and ginger. Drizzle olive oil over the fish, pour over a glass or two of dry white wine - I used dry vermouth. Season with salt and pepper and tightly cover the dish with foil (or you can put the fish in a loose parcel of foil) so that the fish steams as it cooks. Leave to cook for 15 minutes then remove the foil (or open the parcel), baste the fish with the pan juices (if the juices have dried up, pour over a glass of wine or water, drizzle with a little oil and the juice of a squeezed lemon) and continue cooking for a further 5 minutes. Check that the fish is cooked (if the flesh is still translucent cook for a further few minutes). Cut down each side of the dorsal spines to remove the fillets. Any juices in the pan can be poured over the fish. Serve with mashed potato and spinach or a green salad. It was delicious - and tomorrow we have fishcakes! With our new allotment on The Weald in Hove we have acquired an old apple tree which was laden with fruit and we have used a lot of it for making Apple Jelly. 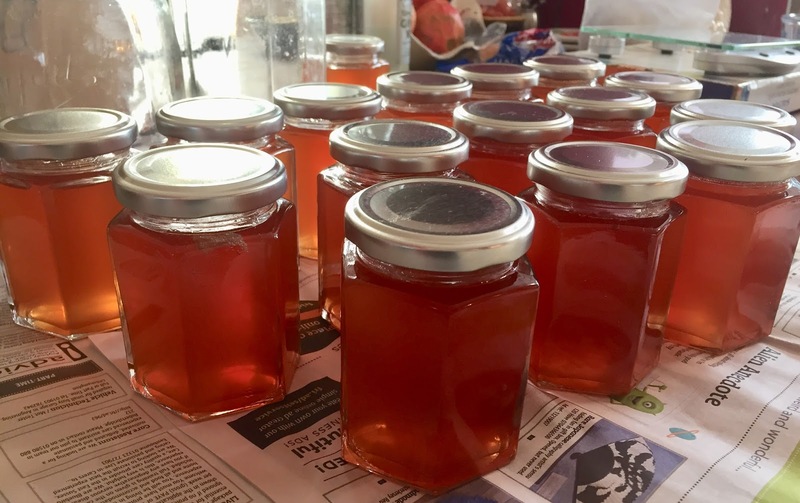 I make apple jelly most years but have just realised that I haven't posted any recipe. Well here it is, just plain and simple basic apple jelly. 2 for every 600mls of juice you obtain you will need 450g of sugar - that;s 750g of sugar for every litre of juice - or as my mother and grandmother would have said "a pound of sugar to a pint of juice"
You can use ordinary granulated white sugar but I would always recommend buying preserving sugar as this will produce a clearer jelly. You could use jam sugar, which has added pectin, but you really don't need this with apples as the pips and core are rich in pectin and you will always get a good set. Put some of the water in a pan and add the juice of the lemons - I usually add the squeezed lemons as well. Wash the fruit and chop in half or quarters depending on the size of the apples and place in the pan as you do so. Make sure the apples remain just covered with the water as this will prevent discolouration. Bring slowly to the boil and simmer for 30-45 minutes until the fruit is very soft. You can mash with a potato masher at this stage. Sterilise a clean jelly bag with boiling water. Put all the fruit into the jelly bag and allow to drain over a clean bowl overnight - or for at least 12 hours (but no more than 24). Jelly bags and stands are readily available in cookshops and on-line, but if you don't have one a couple of squares of muslin will do either draped over a colander or large sieve or pinned/tied to the legs of an upside down stool or chair (which is what I used to do when I made jellies with my mother in my youth) with a bowl underneath. Just make sure the muslin is clean and has been sterilised with boiling water. Do not prod or squeeze the bag! Its very tempting as you can always extract more juice and it is thick and sticky and will aid the setting BUT it will make the jelly cloudy. Squeezing won't spoil the taste; it will increase the quantity, but you won't have that beautiful clear jelly. I have seen some recipes where the strained juice is left covered overnight whilst the remaining pulp is boiled up with half as much water as the first time round, then left to strain overnight and the resulting juice added to the first batch. But in my case the pulp went straight back to the allotment and into the compost. Measure the juice and put in a stainless steel pan and add sugar in the quantity (pound to a pint) as in 2 above. Heat gently, stirring all the time until the sugar has dissolved then bring to a rapid boil. 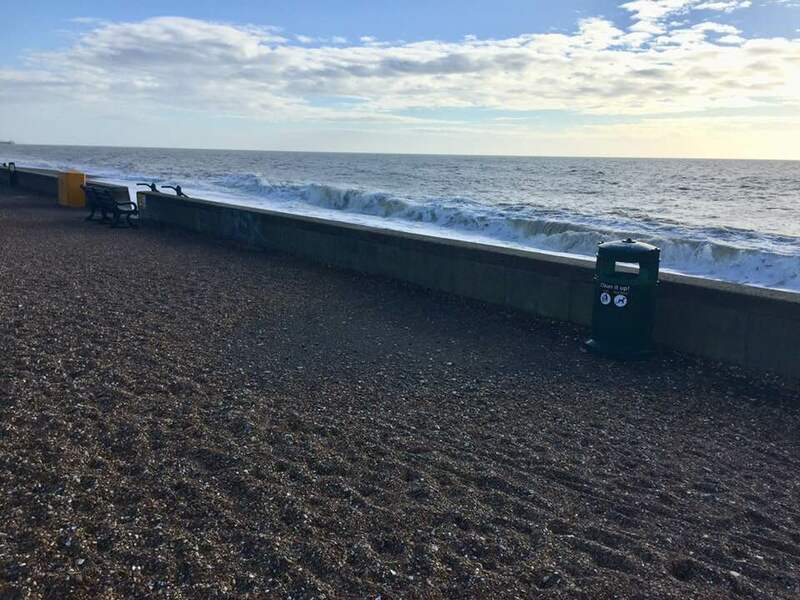 Keep a watchful eye as it may suddenly foam up. Take care that it doesn't boil over by lowering the heat. Boil rapidly until the setting point is reached, probably after 20 minutes - but could be shorter or longer. The best way to test for setting point is with a thermometer, which should read 220C, but I don't have one (must put it on the Xmas Wish List! ), so I rely on the cold plate method. Drop a little of the jelly on a cold, dry plate and leave in a cool place for a couple of minutes. If it forms a skin which wrinkles when you draw your finger across it then setting poin has been reached. If it doesn't, boil a little longer and then repeat the test. When setting point has been reached, remove from heat and skim off any scum that appears on the surface with a metal spoon. The jelly can now be poured into warm, sterilised jars and the lids screwed on tightly. You should have a beautifully clear jelly. The jars should be stored in a cool dark place as the jelly will darken and lose some clarity with age. To prevent this, the best suggestion is eat it as soon as possible and if you have too much, give it to your friends and neighbours. You will be very popular! It is delicious on toast or can be eaten with hard cheeses or meat, especially fatty lamb or pork, or you can add a spoonful to your gravy (or jus). If you have a glut of apples - or can find some crab apples, which make superb jelly - you can experiment with herb jellies by adding rosemary or thyme or sage. You will find countless ideas and recipes on the internet. And if you have quinces available (Japanese quinces are frequently found in October in suburban gardens - from the Chaenomeles bush) you can add these to the apples to make a beautifully perfumed jelly. 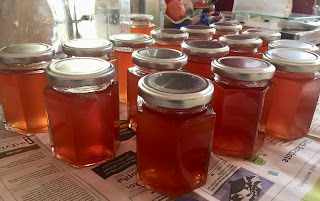 I posted a recipe for Quince Jelly a couple of years ago. This recipe is basically for the cod (or any firm white fish) - the courgette, beetroot and chard are there because we have a glut on the allotment - luckily we love all three and the added bonus is they are good for you! Preheat the oven to 180C (160C fan oven). Cut two pieces of cooking foil large enough to make a parcel for each portion of fish. Place each fillet on an oiled piece of foil, season with salt and freshly ground black pepper, spread the chopped garlic and ginger over each fillet, sprinkle over the chopped chilli add a squeeze of fresh lemon juice and drizzle over the light soy sauce. (I then folded up the edges of the foil and added a splash of dry white wine but this optional). Scrunch up the foil to seal the fish in a loose parcel - some space is needed so that the fish steams as it cooks and remains moist. Place the parcels on a baking tray and put in the pre-heated oven and cook for 15 minutes. Strip the leaves from the chard stalks. Cut the stalks in pieces about 1 cm and gently soften over a medium heat with olive oil or butter and a chopped garlic clove. Gently steam the chard leaves for 2-3 minutes, then add to the softened chard stalks and cook for a further 2 minutes. Spiralise the beetroot and courgette and steam for 2-3 minutes. Unwrap the fish and place each fillet on the pile of vegetables and pour over any juices from the parcel. If you don't have chard, beetroot and courgettes, this is excellent served on a bed of wilted spinach with creamy mashed potatoes (and the mash is even better with some added chopped preserved lemons ).